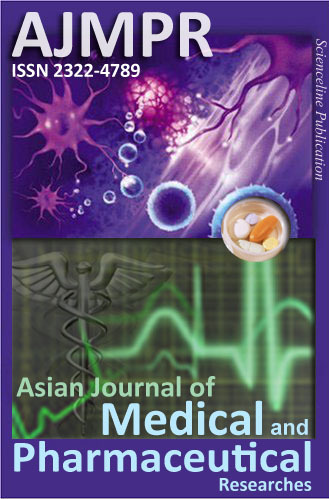 Asian Journal of Medical and Pharmaceutical Researches (ISSN: ‪2322-4789) is a peer-reviewed open access journal that aims to promote communication among clinical researchers, physicians and pharmacologists worldwide. The journal publishes the fulltext of original scientific researches, reviews, case reports and short communications, quarterly. It aims to improve a variety of health care practices focused on the pharmaceutical industry and related areas to maintain and restore health, improve quality of life and lifespan in human beings.